We arrived in the evening as the head of village was meeting with other leaders from the surrounding area. They graciously let us sit in and provided us with coffee and snacks. The hospitality given to us by these people was extraordinary. Though we had just met, their warmth made us feel like family. 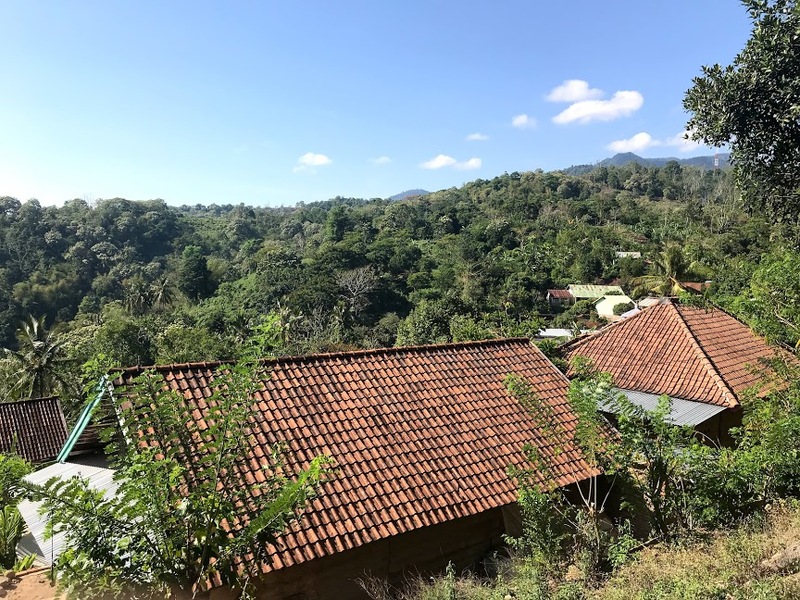 The village was located at 850 masl with the road continuing upward into a protected forest saturated with coffee, reaching heights of 1000 masl. Our 2nd day we spent hours exploring this forest on motorbike, stopping to examine the varieties of species of coffee trees and meeting locals to hear their unique stories. 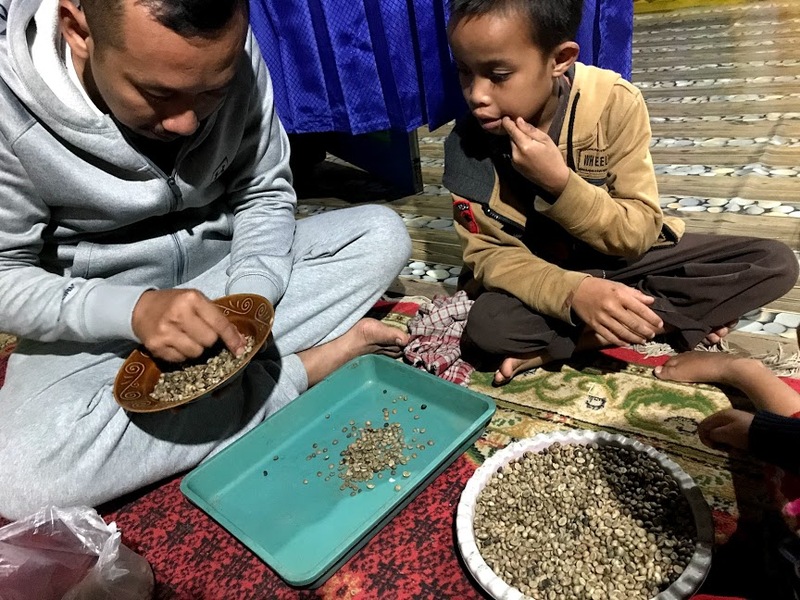 The main source of income for the village comes from producing Minyak Kemiri (Candlenut Oil). 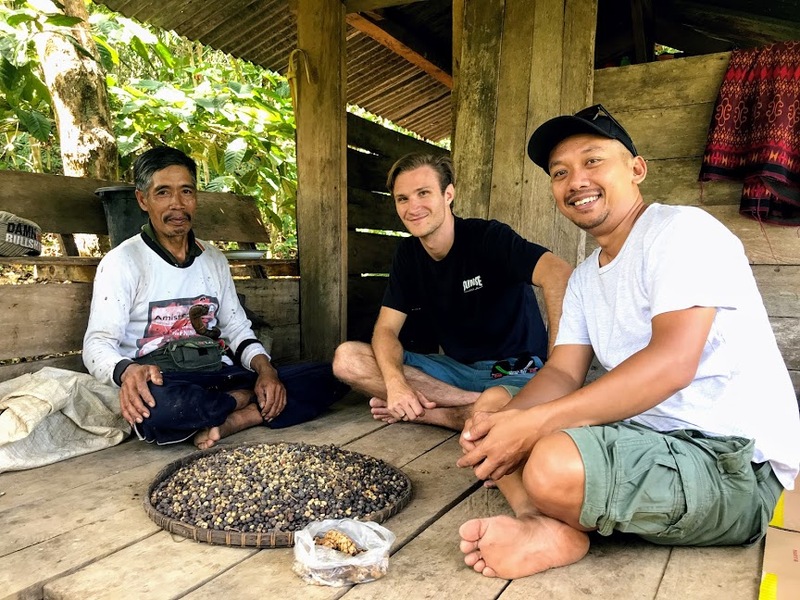 As we met and asked locals the history behind the coffee, they all told of how it was brought during the Dutch colonization period but had long since been neglected and the main consumption of it was for locals or to be sold at the market in the nearest city. 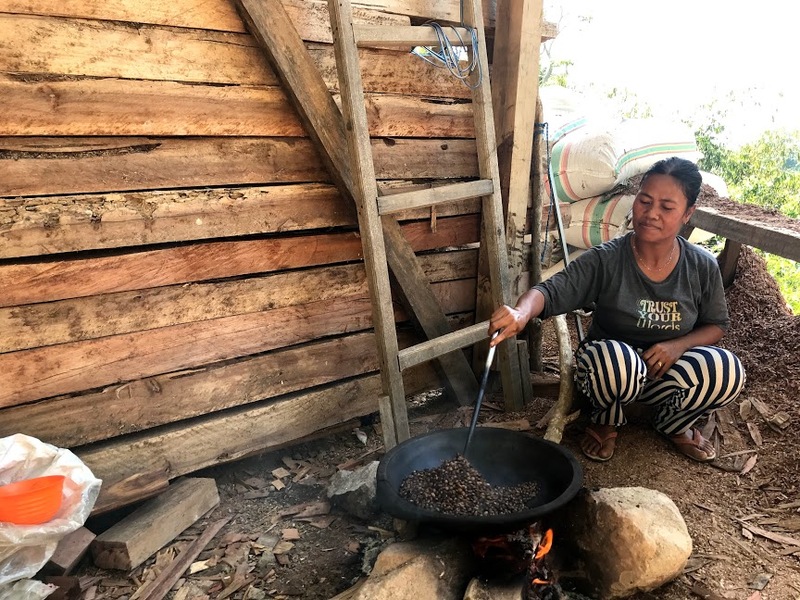 All of the coffee is owned by individual families who harvest and process on their own. 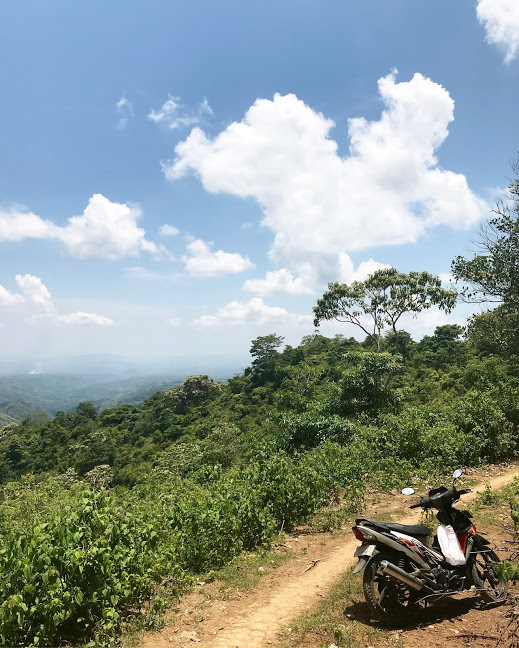 This area has great potential for producing a single origin coffee but much work still has to be done, beginning with basic coffee processing education and the proper facilities. 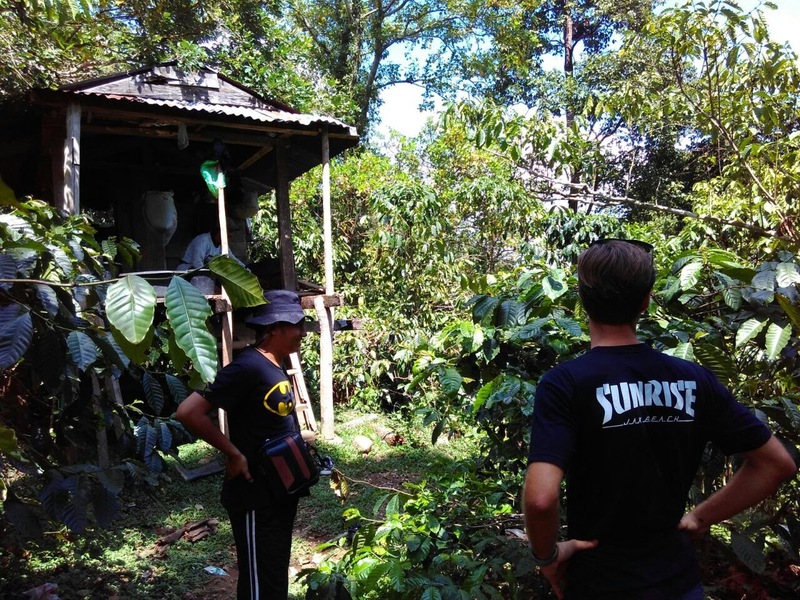 We are currently in discussion with a local investor to provide quality washing stations in this isolated area in order to process the coffee to the specialty grade standards which Bright Java strives for while providing fair income to the farmers. We have big hopes and dreams for this place and these people. We hope to leave behind something greater than ourselves and not just make a profit.